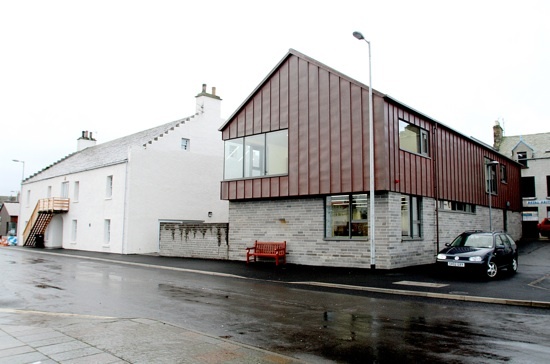 Time to remind you that the Stromness Library will be closed on Tuesday 5th June due to the Queen's Diamond Jubilee Celebrations. But never fear, for the good folk of Stromness have planned lots of fun things to fill the day, and help you to celebrate in right Royal style. At 11am there will be a Scavenger Hunt for all ages, followed by a tea party fit for a Queen from 12 noon until 2pm. Then in the afternoon there will be two children's parties, the first from 2.30pm-3.30pm for children in nursery - primary 2 , and a second from 3.30pm-5pm for children in primary 3 - Primary 7. All events will be in the Stromness Town Hall and folk are encouraged to wear a splash of red, white or blue for fun. Tea, cake and a scavenger hunt? How could we resist? !